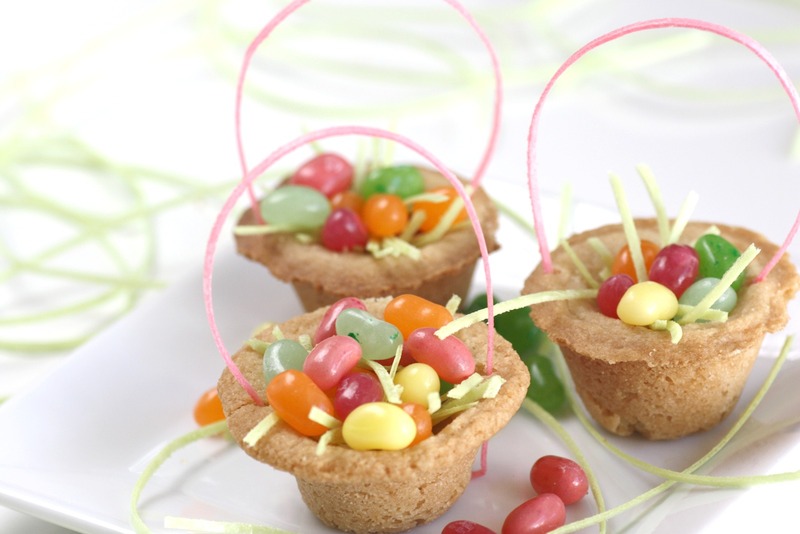 How cute are these sugar cookie Easter baskets filled with edible grass and jelly beans? What kid wouldn't want to get one of these as an Easter treat! 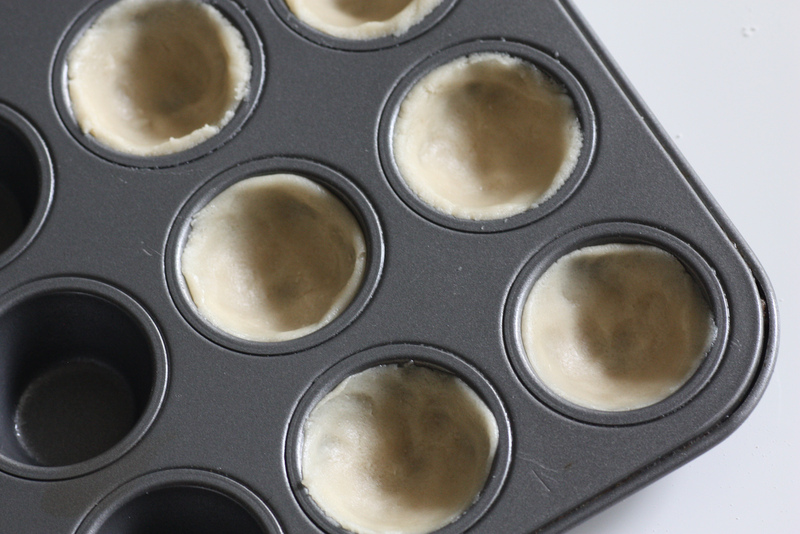 Spray muffin tin with cooking spray so your baskets don't stick. Roll sugar cookie dough into a ball. 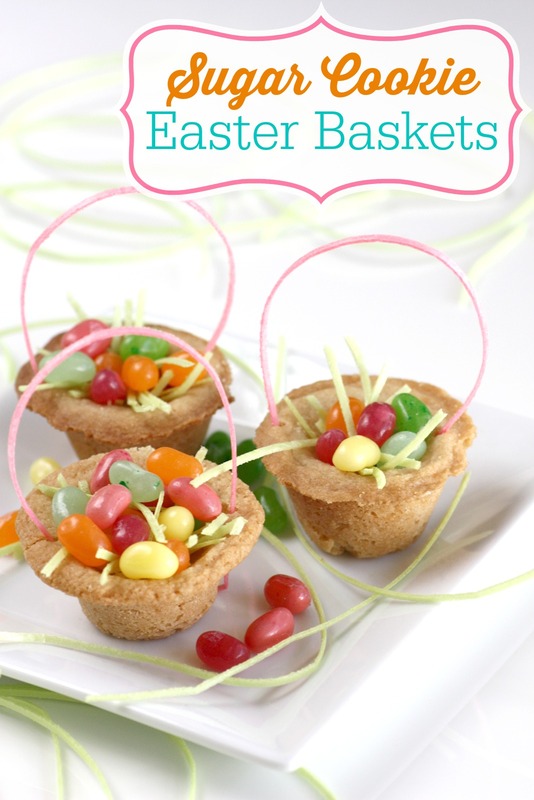 Shape it to line the insides of a mini muffin tin. You might want to add a tiny lip at the top to make the top of the basket (not shown). Bake until golden brown. Cool, then gently remove from muffin tin. Using a sharp needle or pin, poke tiny holes at the top of the basket to feed your edible grass through to make the handle. 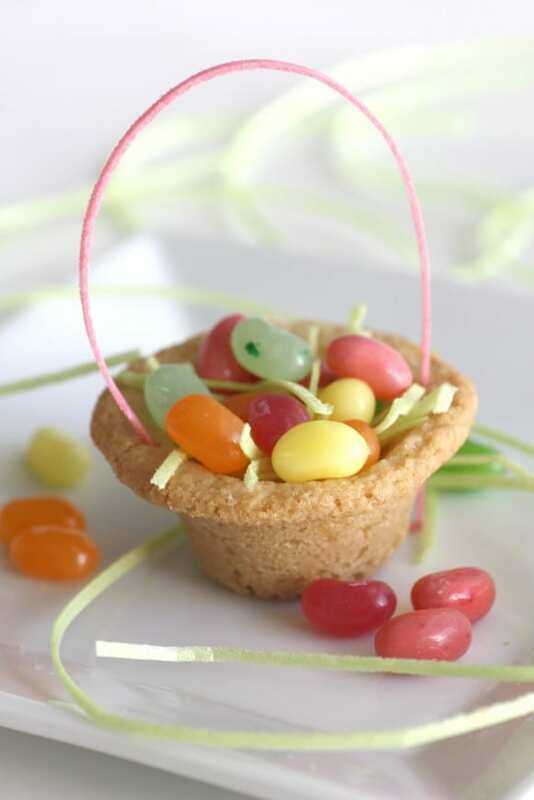 Fill with green edible grass shreds and jelly beans!